Governor Rochas Okorocha has lamented the high rate of damages rainfall in Imo State has caused his administration. The governor who said the rainfall has destroyed almost all the road projects in the state, wondered 'if the rainfall are acidic'. 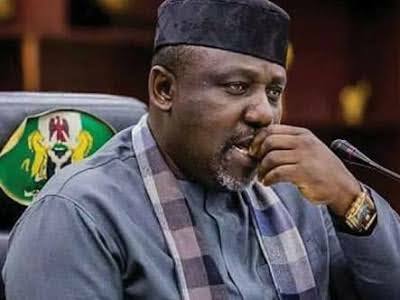 Okorocha hard a said; "I am sorry for some of you who say that I have destroyed all the roads. It is because of the unprecedented rainfall. I wonder if the rains are acidic. I assure you that we will put them in order.